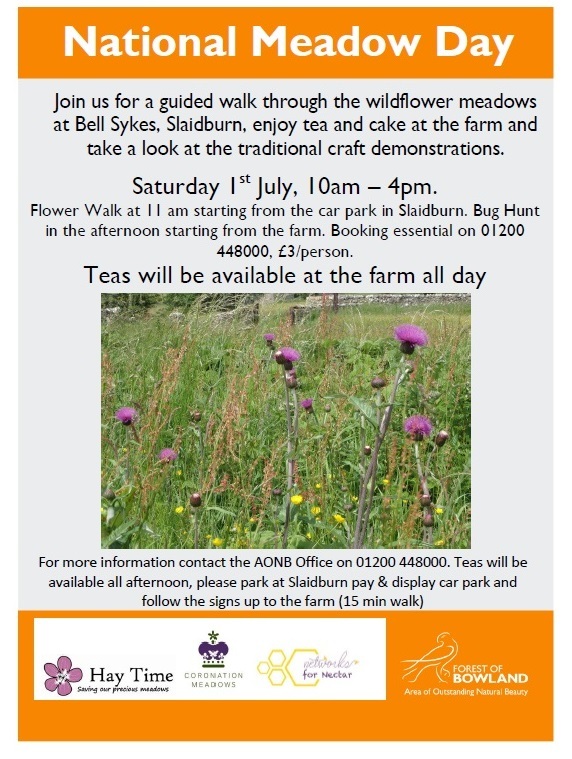 It's National Meadow Day on Saturday 1st July, and we are celebrating with an Open Day at Bell Sykes Farm in Slaidburn. There'll be lots to see and enjoy at Bell Sykes Farm as we celebrate all things meadow-y! Join a morning guided walk to learn more about wildflowers and their traditional uses; watch craft demonstrations including wood and stone carving, spinning and traditional mowing; catch some bugs in a family-friendly bug hunt during the afternoon, or just sit and enjoy the meadows with a brew and a slice of cake. The meadows at Bell Sykes are amongst the best examples in the whole of Lancashire and seed from them has been used to restore the wildflowers to 26 meadows across the AONB since 2012.